The Christmas Pajama Collection project for Wedgewood in Grand Rapids was a GREAT success, reported Dominican Associate Terri Sierzant. 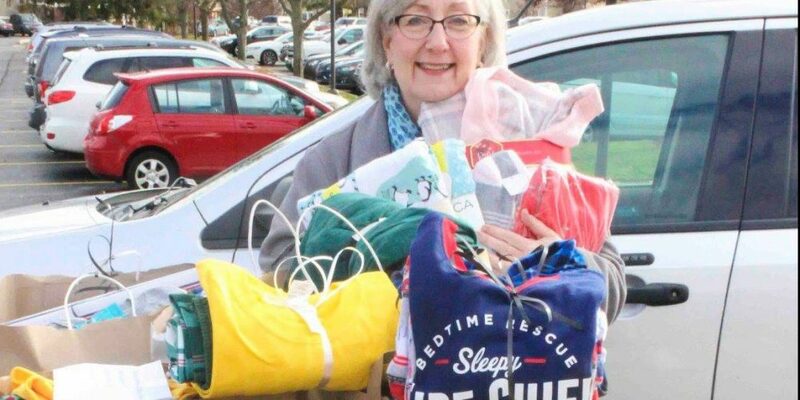 For the past five years, Terri has collected and delivered pajamas to at-risk youth living in residential homes. Sunday Assembly at Dominican Chapel/Marywood, Sisters, Associates, and many other friends have responded to the call for pajamas. “These pajamas provide a comfort to these children and youth,” says Terri, whose servant heart for comforting children in need was inspired by her own childhood Christmas memories. The Dominican Sisters of Grand Rapids are blessed by Dominican Associates who carry the preaching and teaching of the Dominican Order of Preachers in their hearts and extend it to the world.